What makes a man murder innocent people and claim a victory for himself? For instance, the recent Oslo bombing and mass murder of young men and women at a camp in Norway by the right-wing political extremist Anders Behring Breivik who called himself a fundamentalist Christian. He said he is a supporter of a “monocultural Christian Europe”–all this in face of the change in Europe toward a secular society. In no way can his murderous insane actions be prompted by any understanding of the teachings of Jesus. 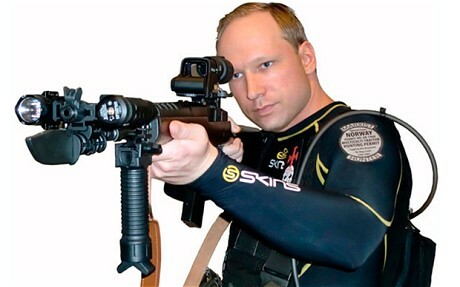 In Breivik’s case it is personal importance at any price. So pertinent is the tale from the foreword of Lajos Egri’s “The Art of Dramatic Writing” where, in classical Greece, a young man is caught for defacing major statues. He is asked if he knows the penalty is death. He answers, “I am a nobody. All my life I’ve been a nobody. I’ve never done anything to distinguish myself and I knew I never would. I wanted to do something to make people notice me . , . and remember me.” After a moment’s silence he added, “Only those people die who are forgotten. I feel death is a small price to pay for immortality!” Breivik will not be forgotten.